The Aare Ona Kakanfo of Yorubaland, Chief Gani Adams, has stated that restructuring of Nigeria remains the ultimate manifesto that will drive his support and that of the Yorubaland in 2019 for any candidate. 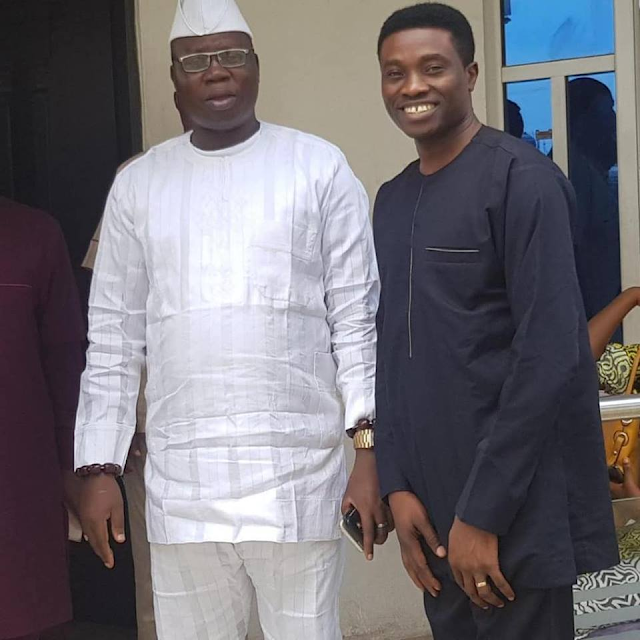 Aare Gani Adams disclosed this at his Lagos residence when he played host to one of Nigeria’s leading presidential candidates for the 2019 election, Mentoring Commandant Ali Soyode. While receiving the YES Party Presidential candidate and the party leaders, Aare Gani Adams stated that Nigeria will only move forward when the country is restructured and the country is led by people who have the best interest of Nigeria at heart. Mr. Soyode is the YES Presidential Candidate, a party which was recently registered by INEC in August 2018 to contest for elective positions and offices. In his remarks, he said he was there to pay his respect to the Aare as one of the leaders of the Yoruba Land and to share with him the journey into politics. “I am here to see the leader who has been playing major roles in the unity of Nigeria and her regional developments. This political path is our contribution to making our country better and greater, in the best ways we have seen and learnt across the world“. Commending the bold step of Mr Soyode, Aare Gani said ‘’as a Nigerian who believes that we should encourage most of our people in the Diaspora to partake in political atmosphere in Nigeria, it is time we encouraged our people in diaspora based on their experience and international connection to come and partake in politics in Nigeria’’. Acknowledging, the role of Nigerian diaspora in nation building and national development, Aare Gani noted ‘’most of the great countries in the world, even in Europe have been changed by their citizens. I believe that somebody that is young like Mr. Soyode should be encouraged to partake in our political process’’. Aare Gani Adams praised the vast knowledge of Mr Soyode and his commitment to Nigeria’s interest and development. Speaking about the YES party Presidential candidate, Mentoring Commandant Ali Soyode, he said ‘’the last time we met was at a reception in London. He spoke for a period of 10 minutes and I saw a lot of intellectual potential in him. He was so articulate that Mr Soyode’s passion for Nigeria was quickly noticed in his words which were all about developing Nigeria’’. He commended Mr Soyode’s laudable efforts in promoting African cultures and values via his BEN TV network across Europe and beyond. He said it was a show of respect not only to him as Gani Adams but also to his office as Aare Ona Kakanfo. He regretted that others in the struggle of Yoruba empowerment and activism across the country are yet to share in the advancement of the region’s collective goal. Speaking about his political preference for 2019 general elections, the Aare Ona Kakanfo of Yorubaland said that he will naturally encourage any Yoruba person venturing into politics and vying for elective positions. He said "if they are committed and ready to face and combat the enormous challenges facing Nigeria and proffer achievable solution, I will encourage them". While wishing Mr Soyode well and praying for his success, Aare Gani Adams urged Nigerians in the Diaspora to partake in Nigerian politics for good governance, better and greater Nigeria. Chief Ganiyu Adams, popularly known as Gani Adams, is a Nigerian social activist and a leader of a nationalist organisation based in Nigeria which supports an autonomous state for the Yoruba people and the Generasilimo of the Yoruba Race as the Aare Onakakanfo.